Opinion: Can Trump's South Asian Appointees Be Anything More Than Diversity Politics? Donald Trump’s administration is not a bastion of diversity. It is overwhelmingly white and male. White House Press Secretary, Sean Spicer, has said that despite this racial and ethnic homogeneity, the administration contains “diversity in gender, diversity in thinking, diversity of ideology." But a look at a few South Asian American appointees in Trump’s administration reveals quite the opposite, and reminds us that the presence of brown faces won’t translate into respect for the rights of immigrants or people of color. For many South Asians — including us — it has been jarring to see people from our communities take on key posts. Prominent South Asians in the Trump administration include Nikki Haley (Ambassador to the United Nations), Seema Verma (head of Center for Medicaid Services at the Department of Health and Human Services), Ajit Pai (Director of the Federal Communications Commission), and Pepsi CEO Indra Nooyi (who is an advisory member of the Strategic and Policy Forum). It is difficult to fathom how a South Asian could endorse an Administration whose policies are negatively affecting people of color, women, LGBTQ people, immigrants and refugees — including members of their very community. "South Asians are among those affected by President Trump’s divisive rhetoric and discriminatory executive orders." South Asians are among those affected by President Trump’s divisive rhetoric and discriminatory executive orders. In particular, the surge in immigration enforcement matters to South Asians given that Indians are the fastest growing undocumented population as of 2014. Raids are already affecting Indians, as will forthcoming restrictions on H-1B visas. South Asians are also reporting higher incidences of hate. Last week, a Kansas man shouted, “Get out of my country!” before shooting at two Indian men, and one bystander who intervened, killing Srinivas Kuchibhotla, a 32 year-old engineer. And this past weekend, a Sikh man was harassed with similar language and then shot at in his own driveway in Kent, Washington. South Asian appointees and advisers to Trump’s administration must internally raise the alarm about the hostile environment in America today. And as community members, we should hold them accountable for how they position themselves (or don’t) in relation to the Administration’s rhetoric and policies. For example, Ambassador to the United Nations Nikki Haley will have to negotiate the anti-immigrant vitriol coming from the White House. Despite being criticized for policies that disadvantaged Black communities as Governor of South Carolina, Haley often hearkened to her immigrant and minority experience. But now, she is in the position of upholding policies that adversely affect families much like her own. In her confirmation hearings, when asked about a potential Muslim registry, Haley disavowed the idea, although the Muslim ban was issued just days later. Beyond the tacit endorsement of anti-immigrant policies, some of these appointees are going further to advance viewpoints that most South Asians do not hold. For example, Seema Verma, the new head of CMS within HHS, testified at her confirmation hearing that maternity coverage need not be mandatory (as it is now) under health insurance plans. But its importance is evident in the face of an increase in the U.S. maternal mortality rate between 1990 and 2015. Ms. Verma’s position on mandatory maternity coverage is particularly dangerous for pregnant women of color. 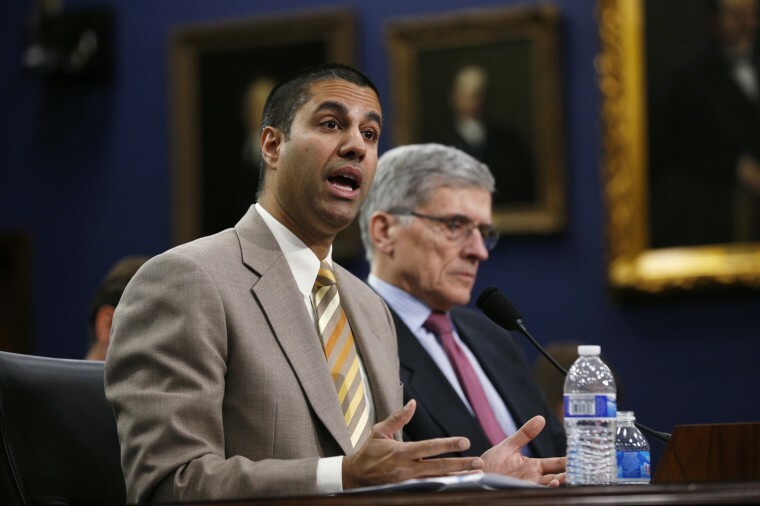 In his first days as President Trump’s pick to lead the Federal Communications Commission, Ajit Pai aggressively moved to roll back consumer protection regulations. Mr. Pai took a first swipe at net neutrality rules designed to eliminate the barriers faced by low-income families and communities of color when they access the internet. He also stopped nine companies from providing discounted high-speed internet service to low-income individuals. "We need people in influential positions to do just that: to speak up, ask critical questions, and push back." Of course, we are aware that the inclusion of people from similar backgrounds in political positions does not automatically mean that our communities will be represented. But in this particular moment, when immigrants and people of color are being threatened, we need people in influential positions to do just that: to speak up, ask critical questions, and push back. Otherwise, South Asian appointees and advisers become mere diversity props in photographs and nothing more. Notably, there are South Asians in political positions that show us a different approach. Representative Pramila Jayapal, Senator Kamala Harris, and Seattle City Councilwoman Kshama Sawant are staunchly pro-immigrant, pro-women and pro-worker. Recently, a number of Asian Americans including Nina Ahmad, actor Maulik Pancholy, and Shekar Narasimhan resigned from a White House commission because of the administration’s targeting of immigrants. "We must hold South Asian appointees and advisors accountable for their tacit and explicit stances on civil and immigrant rights, women’s rights, and LGBTQ rights." And there are organizations around the nation such as the Alliance of South Asians Taking Action, South Asian Americans Leading Together, DRUM: Desis Rising Up and Moving and others advocating against harmful positions espoused by the government and conservative South Asian groups. Hindus for Justice, a network of progressive Hindus, criticized the dangerous positions of the Republican Hindu Coalition, a fringe group that poured millions of dollars into Trump’s campaign, on the expansion of the Muslim ban. This is what more South Asians must do. We must hold South Asian appointees and advisers accountable for their tacit and explicit stances on civil and immigrant rights, women’s rights, and LGBTQ rights. And we must redouble our commitment to exercising dissent and engaging in solidarity practices. The survival of our communities depends on how we navigate this political moment - even if South Asians in influential positions refuse to stand by our side. Deepa Iyer is a Senior Fellow at the Center for Social Inclusion. She is the author of We Too Sing America: South Asian, Arab, Muslim and Sikh Immigrants Shape Our Multiracial Future and the former executive director of South Asian Americans Leading Together (SAALT). Eesha Pandit is a Houston-based writer and activist. She serves as Managing Partner at the Center for Advancing Innovative Policy and sits on the Board of the National Network of Abortion Funds. An advocate for civil and immigrant rights, Deepa Iyer served as Executive Director of South Asian Americans Leading Together (SAALT) for nearly a decade, and as the chair of the National Council of Asian Pacific Americans (NCAPA) for two years. She is currently working on a book about how South Asian, Muslim, Sikh, and Arab American communities in the post-9/11 environment are reshaping America’s racial landscape. She can be reached at www.deepaiyer.me and @dviyer.